This is one of our latest designs in our Animal Alphabet Series. O is for Owl is just wonderful! 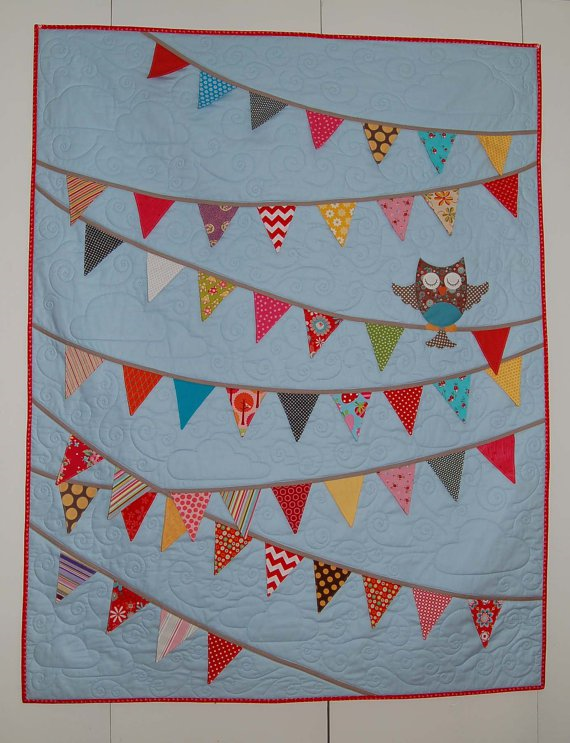 This quilt has cheery rows of pennants all across that are made to be 3-D. The technique is super simple and has a wonderful affect. The finished quilt is 42" X 54" and can be easily made for a girl or a boy depending on your fabric choices.